British psychologist Steve Taylor describes a phenomenon he discovered in his research which he calls, SITE – “Suffering Induced Transformational Experiences”. Taylor found that individuals who went through painful experiences (medical, emotional, loss, etc.) would often emerge from them with a new state of being which included, “increased well-being, intensified perception, a sense of connection, improved relationships, a less materialistic and more altruistic attitude, decreased cognitive activity, and reduced fear of death”. Taylor’s discovery also explains the silver lining of our slavery in Egypt. In one of the most powerful pesukim in this week’s parsha, the painful abuse of the Egyptians is described: וְכַאֲשֶׁר יְעַנּוּ אֹתוֹ, כֵּן יִרְבֶּה וְכֵן יִפְרֹץ, But the more they afflicted them so did they multiply and so did they spread. On a simple level, the Torah tells us that in spite of the harsh treatment of the Jewish nation, they continued to increase in numbers. However, the Or Hachaim, commenting on the pasuk, tells us that this pasuk actually describes the mechanism of Taylor’s SITE long before he coined the term. כֵּן יִרְבֶּה וְכֵן יִפְרֹץ do not only connote growth in numbers, they also refer to becoming great and growing spiritually stronger. The Or Hachaim says that the pasuk is teaching us that the more painful and traumatic the affliction of the Egyptians to the Jews was, the stronger the Jewish nation grew in spirit and identity. Indeed, the Hebrews who came forth from Egypt had the greatest “Suffering Induced Transformational Experience” in history – they transformed into Jews. This type of transformation began in Egypt and has continued throughout Jewish history. Our survival for so many millennia is intimately tied to the incredible strength our people draws from the difficult chapters of our history. 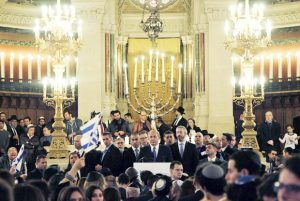 In fact, when Bibi Netanyahu spoke to the Grand Synagogue of Paris (skip to 10:50) , following the horrific terrorist attacks against the Jewish community, he actually quoted this pasuk and used it for this same message (I don’t think he realized he was being mechavein to the words of the Or Hachaim). 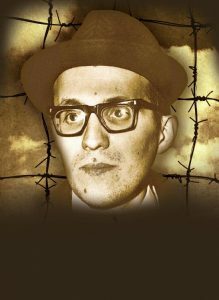 Yosef Mendelevitch, the famed prisoner of zion, spent years in the Soviet gulag. He recounted that at one point in his imprisonment he decided to start cutting kippa-shaped pieces of clothe from his uniform and put them on his head. Every time he did so he was severely beaten by the guards; but he would do it again nonetheless. It came to the point that he had holes all over his uniform from so many kippot. One day he heard the guards talking among themselves. The name Mendelevitch came up. 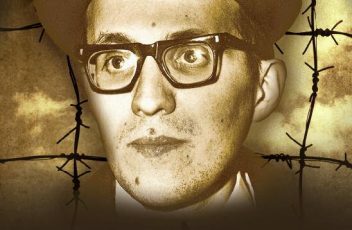 One of the guards commented, “there is nothing we can do to him – he’s a free man already”. Rav Kook’s house in pre-State Jerusalem was a thoroughfare for the destitute on Purim day. They would all come looking for generous gifts from the Chief Rabbi’s Purim fund. Rav Kook would not only give them money but he would invite them to sit around the table with him and the many respected rabbis that had come to give the Chief Rabbi Purim greetings. As one can imagine, many of these individuals did not know how or were not able to conduct themselves in a manner that was befitting those present. Yet Rav Kook kept on inviting each destitute individual to sit down – even when they overstayed their welcome. One of the Rabbis finally took Rav Kook aside and confronted him about this practice which he felt was not respectful to the Rabbis nor to the office of the Chief Rabbi. 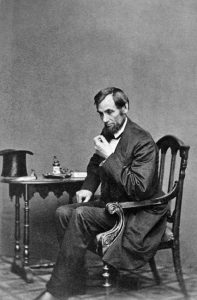 President Lincoln’s depression is one of the most interesting chapters of American history. 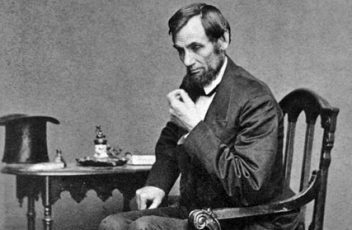 Although it may not be taught in grade school, Lincoln’s friends, family, and political colleagues all knew of his “melancholy”. In our modern-day clinical terminology we would call it depression. However, it was this element of his character that historians credit with giving him the skill, insight, and vision to lead the United States through its most troubled period. In fact, modern scientific research has shown us that periods of depression in life can actually lead to more realistic evaluation of situations and better problem solving. The very first Rashi in Parshas B’haaloscha presents us with another great leader feeling down. Rashi wonders why the lighting of the menorah at the beginning of the parsha immediately follows the korbanos of the tribal leaders. Based on the midrash, he answers with an incredible vignette. Aharon, the High Priest, had difficulty watching the incredible service performed by the tribal leaders. Chalsha az daaso, his mind became weak when he witnessed it, or as we would call it, “he started feeling down”. Aharon felt left out that he was not included as well. Although he was the High Priest, he was left out of one of the most defining moments of the dedication of the mishkan. Who could blame him for feeling bad? But Hashem comforts him, Chayecha! Shelcha gedolah mishelahem, By your life! Yours is greater than their’s – you will light the menorah. What exactly was Hashem’s answer to Aharon? Was it merely that he would get more exposure in the lighting of the menorah? 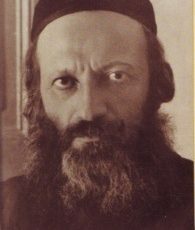 The great Chasidic master, Rav Yitzchak Vorker (Emunas Etecha – B’haaloscha) explained that Rashi is saying something much deeper. Shelcha gedolah mishelahem, yours is greater than their’s, is not a reference to the lighting of the menorah. It is a reference to Aharon’s sadness – Your sadness is a greater than their service. He was saying to Aharon that his sadness at being left out and his longing to be included was a greater service in His eyes than any korban given by the tribal leaders. Aharon was being told that heartfelt melancholy is one of the greatest strengths a Jew can have. Rav Yitchak Vorker explains that this is why Aharon was given the honor of kindling the Menorah. Only someone that understands the darkness of sadness can truly light up the world with Divine Light. Like with President Lincoln, the depression is what leads to the greatest salvation there is. Very often we have difficult periods in our lives. These challenges may be different than Lincoln’s, but they are be trials that we truly never forget. At these times we may react with chalishus hadaas, a sense of feeling down and depressed. We often view those periods in a negative light and seek any means to escape the difficulty of the emotions they present us with. 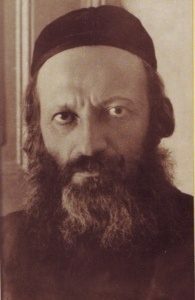 Rav Yitzchak Vorker teaches us an incredible lesson. It is at those very moments of struggle that we are special in Hashem’s eyes. Yours is greater than their’s. Hashem looks at a person who struggles with hardship much like He viewed Aharon – with admiration and love. We need not hide from those times or the memories we have of them. These periods are our finest moments as people. They are the times that define us as ovdei hashem, as servants of Hashem like the kohanim. An incredible reward awaits those that see the beauty in those times of difficulty. 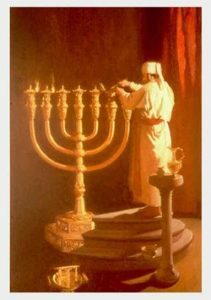 Like Aharon, a time of incredible light will follow when we kindle our own personal Menorah. Our strength, courage, and example will then shine and serve as an inspiration to all.